Two Einstein artifacts being auctioned in New York could contain clues to the spiritual beliefs of the 20th century's best-known thinker. NEW YORK (AP) — Did Albert Einstein believe in God? The famous physicist was constantly questioned about his religious beliefs during his lifetime. 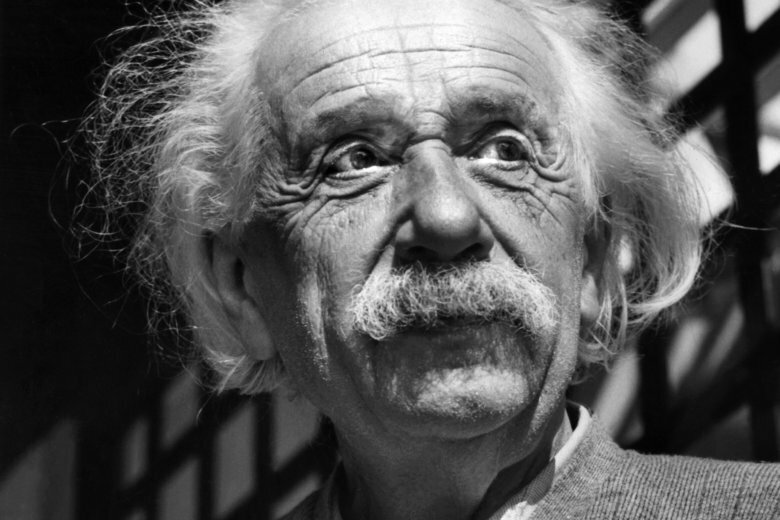 Two Einstein artifacts up for auction in New York contained clues to the spiritual beliefs of the 20th century’s best-known thinker. Sotheby’s offered a Bible for sale Friday in which Einstein inscribed in 1932: “This book is an inexhaustible source of living wisdom and consolation.” But divine providence did not favor the auction house. The Bible failed to sell. The leatherette-bound Bible was a gift from Einstein and his wife, Elsa, to Harriet Hamilton, an employee of the couple. The auction house had estimated that it would sell for $200,000 to $300,000 at Friday’s sale of rare books and manuscripts. Cassandra Hatton, a specialist in books and manuscripts at Sotheby’s, said in an interview before the auction that it was hard to reconcile the description of the Bible as a source of “living wisdom” with the harsher view of religion that Einstein expressed elsewhere. The letter Christie’s is selling was written the year before Einstein’s 1955 death and was addressed to Eric Gutkind, a philosopher who had written a book about Jewish spirituality and the pursuit of science. Christie’s books and manuscripts specialist Peter Klarnet said the letter, which carries a presale estimate of $1 million to $1.5 million, is notable for its bluntness. Both items have come up for auction before. The Bible sold for $68,500 at Bonham’s in New York in 2013 and the letter to Gutkind sold for $404,000 at Bloomsbury Auctions in London in 2008. Walter Isaacson, the author of the 2007 biography “Einstein: His Life and Universe,” said the great man’s views on religion are hard to pin down. Isaacson said it’s not surprising that Einstein’s faith or lack thereof sparked so much interest.